This page is dedicated to listing our Company news. 2019 open dates are now available. April 2017 – The first 10 nurseries have been awarded Millie’s Mark for good 1st aid training – I am sure many more will follow this worthwhile scheme. ALL our accredited first aid courses now include how to use a defibrillator. 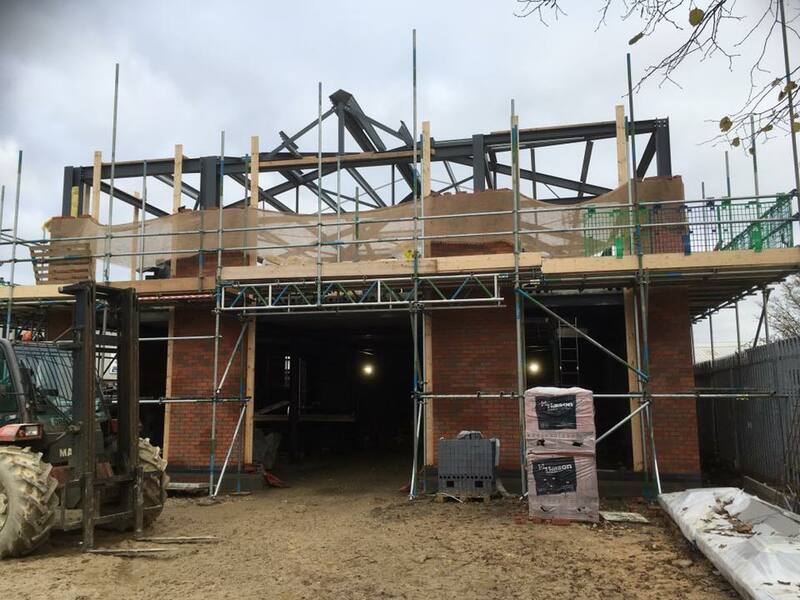 It’s beginning to look a lot like…a building! 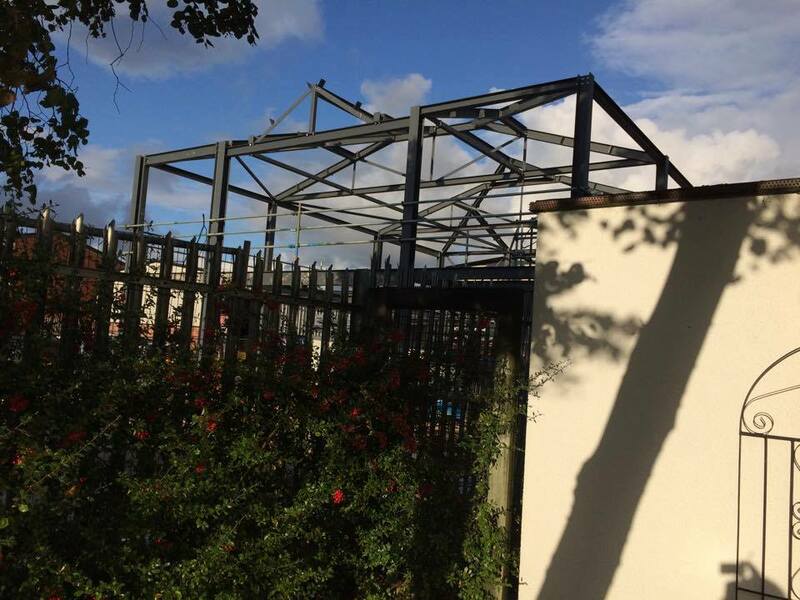 Check out our “new training centre” page to follow the progress. The bricks are going up! 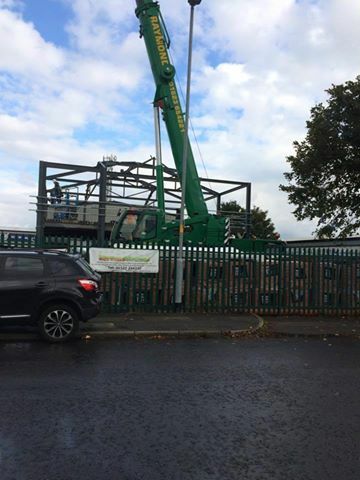 Exciting times as our new building goes up! 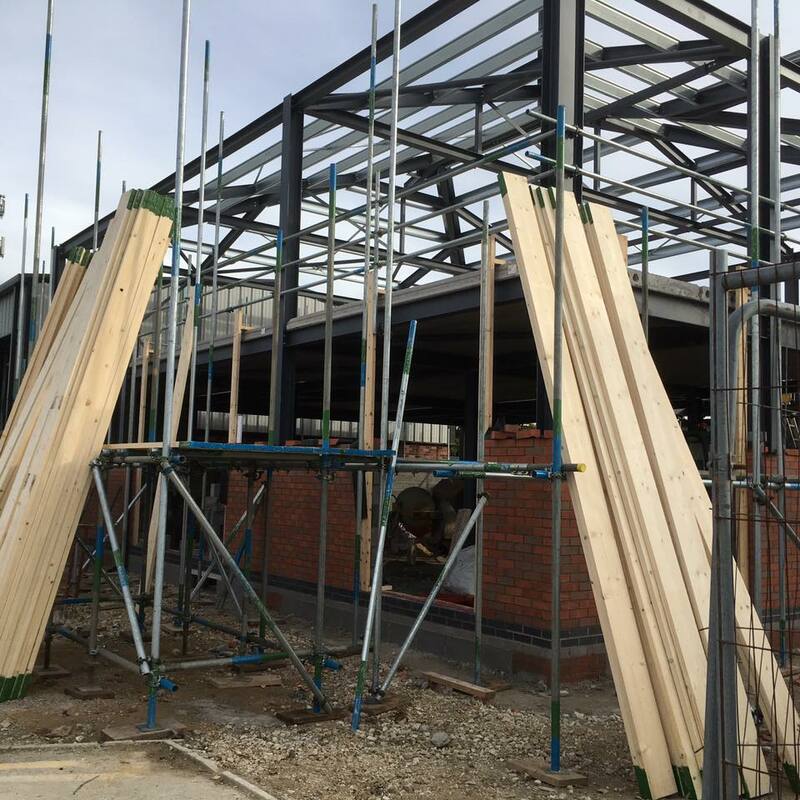 Due for completion in Spring 2017 the new building will have office space, plus four new training rooms. BEING A MEDIC… on 7/9/16 one of our trainers and medics was on his way to work when he saw something going on involving a lorry. As he got closer he could see what looked like a person under the lorry and he decided to stop and help and was able to help before the emergency services arrived. The emergency services arrived on scene and our medic handed over and then left, not really knowing what then happened to the person afterwards. It occurred to me, a medic in training, that being a medic is not a 9-5 job. You never really switch off or clock off from being a medic and you want to be able to help people if you can, despite the time or place, it is your moral responsibility and kindness that keeps you going. And it occurred to me, that as a medic, you will not always get the happy ending. Despite this, I want to further my skills and I hope that one day, if needed, I too can help someone, even in a small way, should they need it. I’m so proud of the team that I work with and the things they do, and feel lucky to be part of the team. If you would like to learn first aid, become an appointed person or even train to become an emergency medical technician, call Singletons on 01522 300161. You do not have to wait for your work place to put you on training, we run many open courses for you to enable to put yourself forward to further your skills. Call 01522 300161 now for more information, and you too could help someone that needs it. YOU HAVE RESPONSIBILITIES! Do you know that as a business, you have certain responsibilities to yourself, your employees and your customer’s according health & safety law .No matter how many people you employ you must have a health & safety policy and risk assessments in place, you must provide a safe workplace and suitable training for your staff, and you must at least have a first aid kit, an appointed person and information available for employees, when it comes to first aid. There are many places you can go for information on Health & Safety and first aid, and the legal requirements you must meet…but where should you go when it comes to staff training? You need someone you can trust, and at Singleton Associates we have over 20 years experience training the private and public sectors in First aid, Health & Safety, Risk Assessments, and more, and we can provide you with training that is up to date and relevant and that meets all the legal requirements for your work place. From 3 hour Appointed Person courses to 3 day First Aid At Work courses, from basic to intermediate health & safety courses, risk assessment courses and many more in between we can provide you with exactly what you need. All your training needs under one roof. What are the benefits of training your staff? Firstly you meet the legal requirements, secondly staff that receive quality training report they feel more valued and happier while at work, they are also more likely to look out for, and report hazards and risks within the work place. We welcome your constructive feedback and comments! There are a few ways you can tell us what you are thinking. You can go to FreeIndex to write a review, you can go to our facebook page. Or you can call us 01522 300161 or email us at the office. We look forward to seeing what you think! A great Link regarding health and safety legislation in the work place http://www.hse.gov.uk/firstaid/legislation.htm check it out and make sure you comply! go to https://www.facebook.com/SingletonAssociates/ to see some of the videos from our RTC training. We now offer First Person on scene accredited intermediate course! The name of the Heart mascot is officially Veinessa Ventricle. We provided a public access defibrillator at Tesco Extra in Lincoln. 18 new care centred courses were developed. The ambulance went to Washingborough Academy as part of their open day. September saw ‘have a heart day’ at The pride of Lincoln pub – a good day was had by all. October saw us in Tesco for European re-start a heart day. New first aid guidelines were published by the resus council on 15th October. European restart a heart day was on 16th October – The event was a huge success, we trained over 50 people in the Tesco community room in just a couple of hours. We are now CQC Registered as an ambulance service – 1-1375888920. We now offer Allergen training for serving staff and also for management. Click here for more information. From September 2014 the government intends to remove the need for paediatric first aid courses to be approved by Ofsted or Early Years. A revised syllabus will also be issued. – click here for consultation. New food Hygiene Regulations came into force on 1st January 2014, check out our hygiene training for more information. HSE approval of 1st aid training companies ended on 1st October 2013. Singleton Training Services Ltd satisfies the criteria set by the HSE for competence. Level 2 Paediatric First Aid at Work. Level 3 Paediatric First Aid at Work.